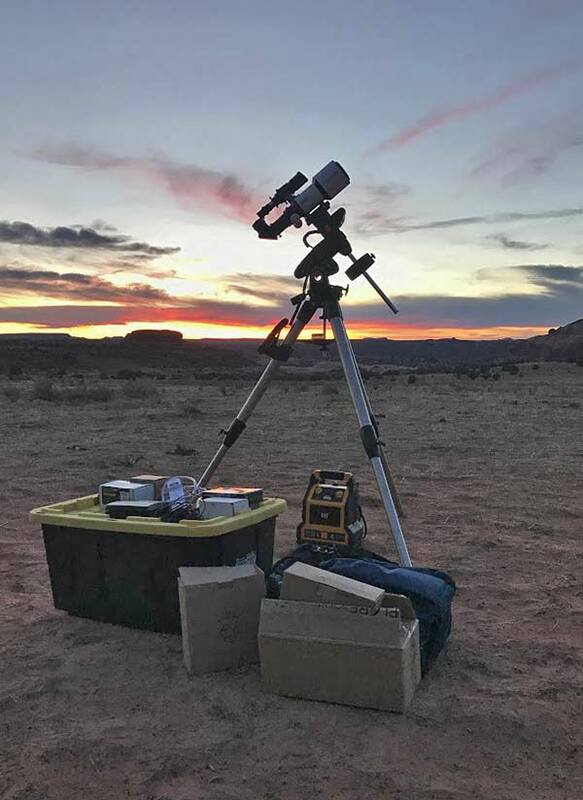 This highly portable setup includes an Explore Scientific ED80 triplet apochromatic refractor that has proven to be an excellent wide field telescope for deep sky astrophotography. Many of the images in my personal photo gallery were shot through this F/6 refractor telescope. It’s highly portable and compact, meaning it’s not overly demanding on modest equatorial mounts. Adding a small autoguiding telescope and camera to the mix as you see here can improve tracking accuracy, without adding too much extra weight. The camera mounted to the telescope is a Sony a7S full-frame mirrorless camera. As you can tell, this camera is producing some incredible results for Jayvin – just look at the beautiful blues in the spiral arms of Andromeda. Jayvin’s equipment continues to resemble a previous configuration of mine, complete with an Orion Mini 50mm guide scope, and Meade DSI Pro II camera. 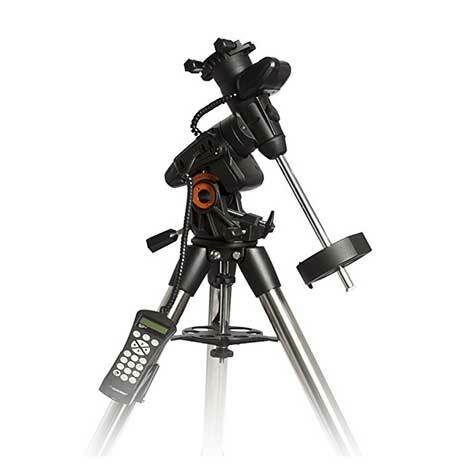 This is the exact autoguiding combo I used for many years and is featured in my first astrophotography equipment video. 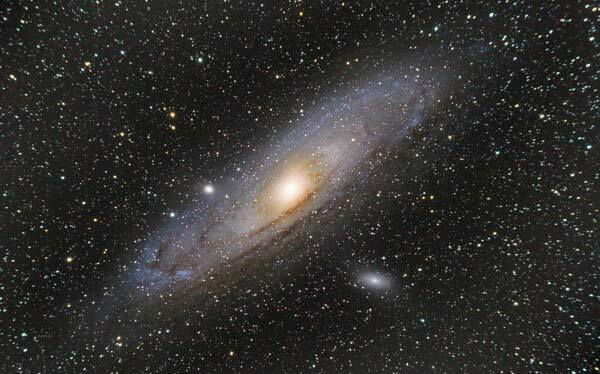 I shoot with an ES ed80 mounted on a Celestron AVX. My camera is a Sony a7S mounted to the scope with an Orion field flattener. In the photo, you can also see an Orion 50mm guidescope with a Meade Dsi pro II guide camera. 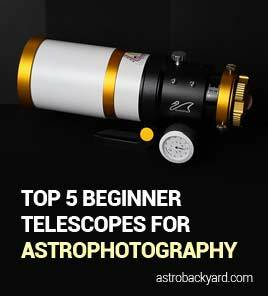 This setup was greatly inspired by AstroBackyard and has produced some great images. View Jayvins astrophotography images on Astrobin. Thank you for sharing your setup with us, Jayvin!